Fyodor Machnow, is the tallest person on Earth. 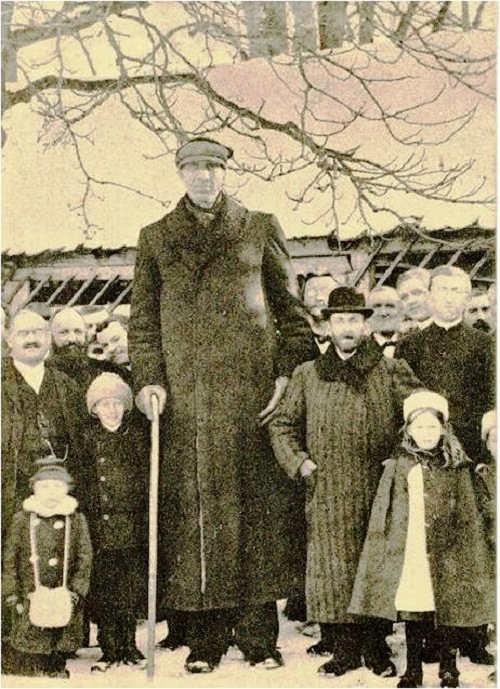 137 years ago in the ordinary Belarusian village Kostyuki was born the tallest person on the planet Earth. 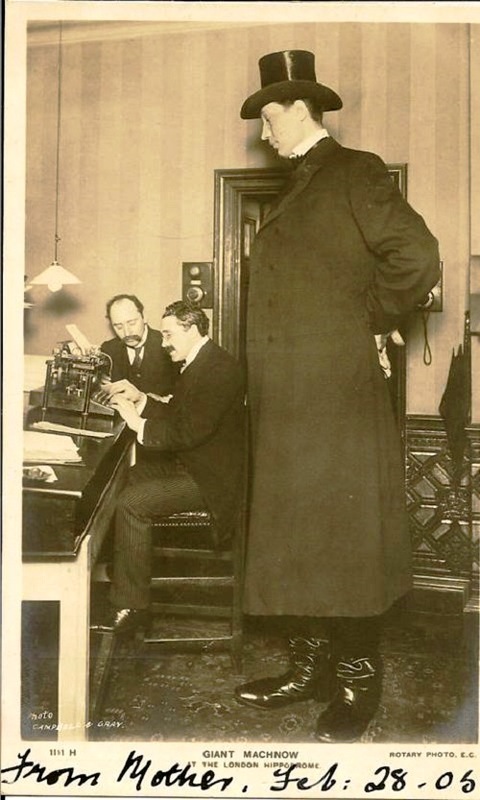 The growth of Fedor Machnow was 285 centimeters. 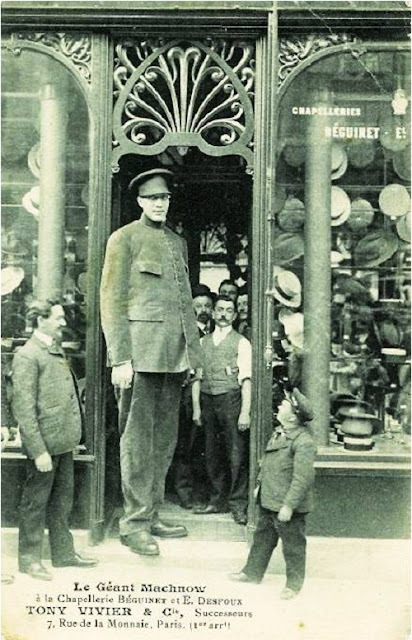 "Calendar 1905" said: “In order to have an idea about the extraordinary growth of this giant, it is necessary to say that his high boots reach the waist of an ordinary mortal, and a 12-year-old boy can fit in them quite freely with his head.” It’s about Fyodor Machnow – the tallest man on the planet Earth, who was born in a small village Kostyuki that is in Vitebsk region. It happened on June 18, 1878. Fyodor was the firstborn of a young peasant mother, who died in childbirth. Fyodor was raised by his grandparents. Initially, Fyodor was a usual kid, the same as his peers. But somewhere at the age of 8 Fyodor began to rapidly grow and gain strength. During this period, the boy slept all days long. 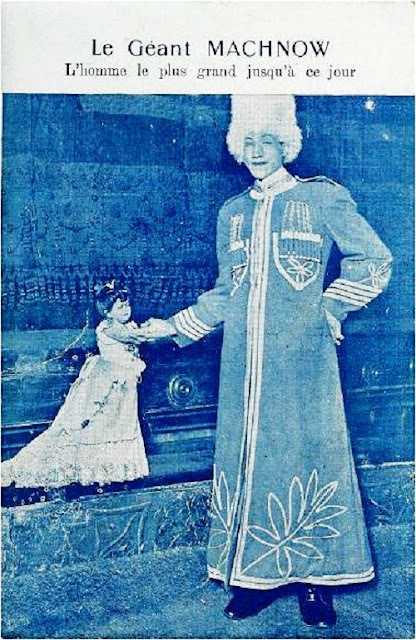 At 10, his father took Fedor to help with the housework. By this time he had married a second time. 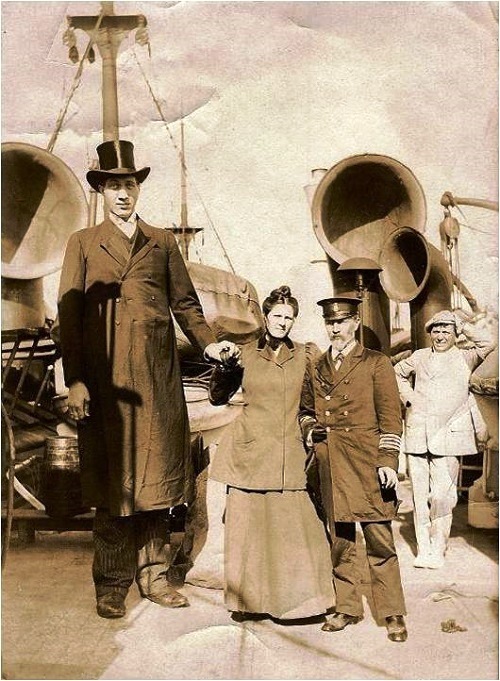 From his second marriage grew up two half-brothers and sister who were normal growth. Locals often asked him to help raise the logs during the construction of houses, and the landlord Korzeniowski hired the young giant to clear the stream Zaronovka of boulders that impeded the work of the watermill. The river had remarkable icy spring water. Long work in cold water ruined the health of the giant. 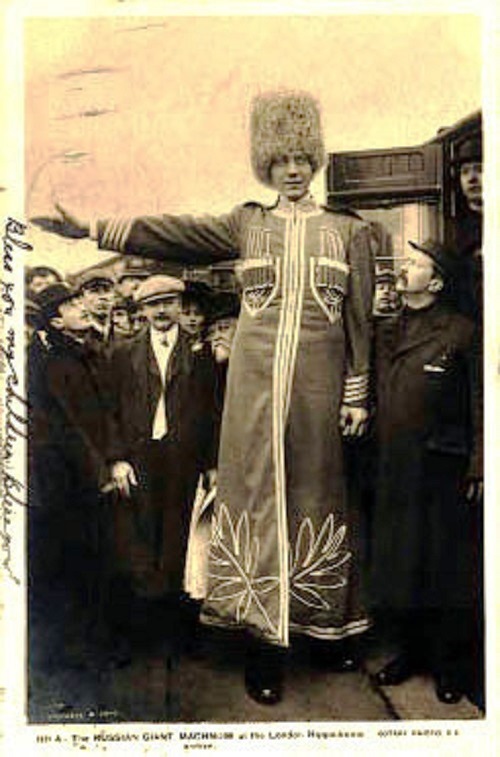 Like a true hero, Fyodor was cheerful and good-natured. 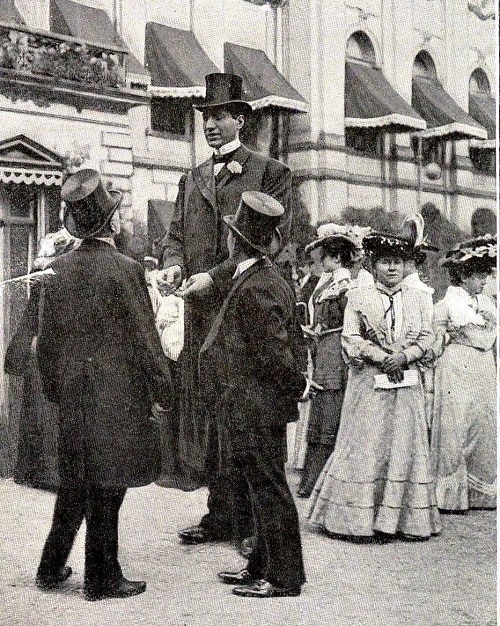 He often gladly tinkered with the local children and played the harmonica. The children hid in the boots of a giant, while playing hide-and seek. 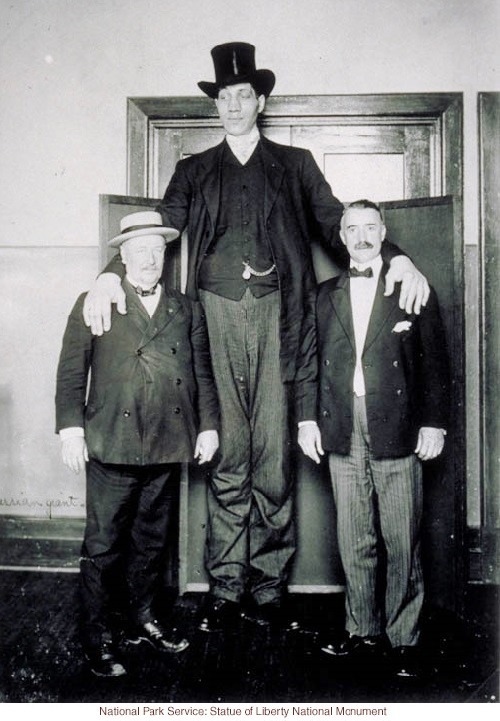 By 14 years old up he grew up to 2 meters, and his father had to raise the roof of the house for a few crowns. The local blacksmith was commissioned to make an individual bed. Upon completion of the work it was found that over the summer Fedor had grown out of this bed. 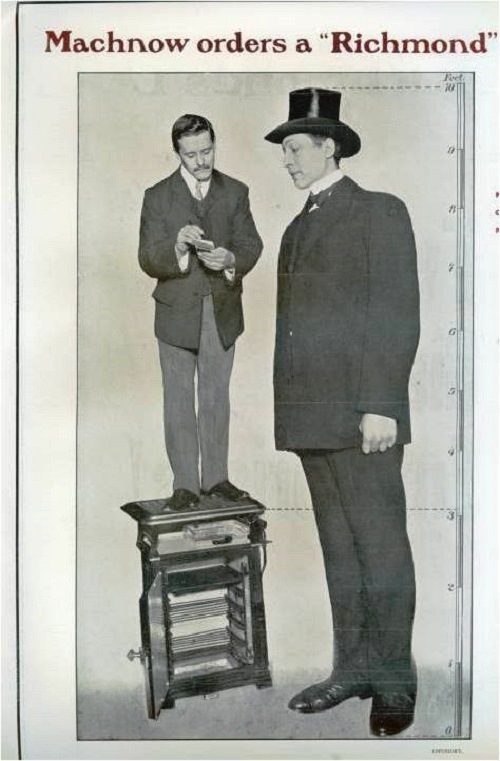 Clothes and shoes for a tall guy were made to a special order. 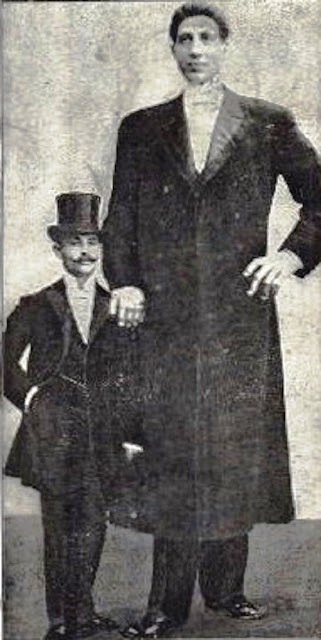 So when in Vitebsk unusual teenager was spotted by a German circus owner Otto Bilinder, he quickly persuaded his father to let his son Fyodor join the circus in Germany. 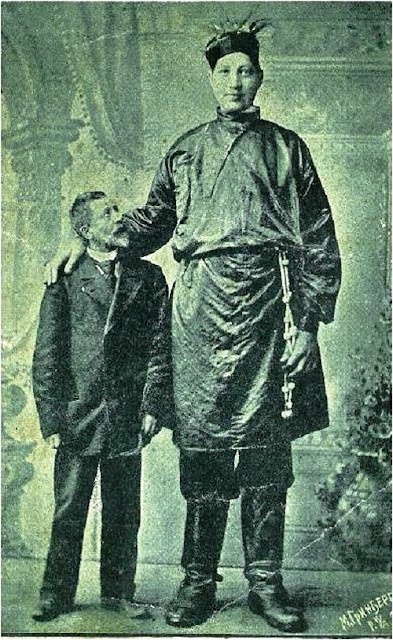 So, the 14-year-old “Belarusian Gulliver” left his home to surprise and conquer Europe with his unusual natural abilities. 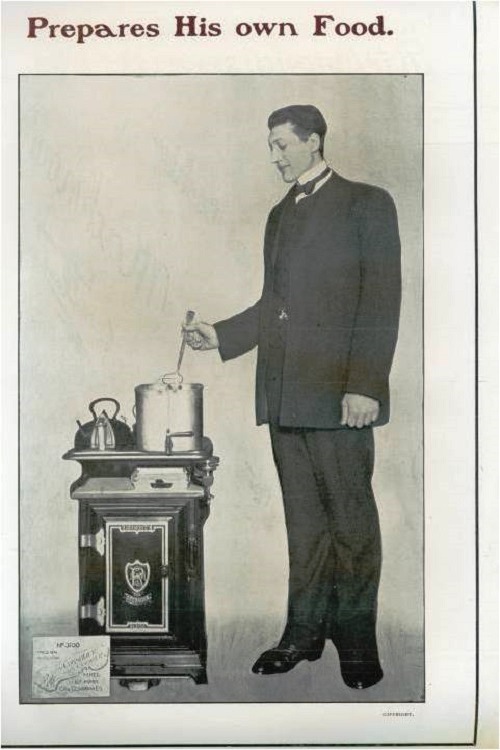 Otto Bilinder treated Fyodor very well. Since the boy had only three years of education, a German hired teachers to teach him to read, and speak German language, as a teenager he taught himself the basics of circus arts. 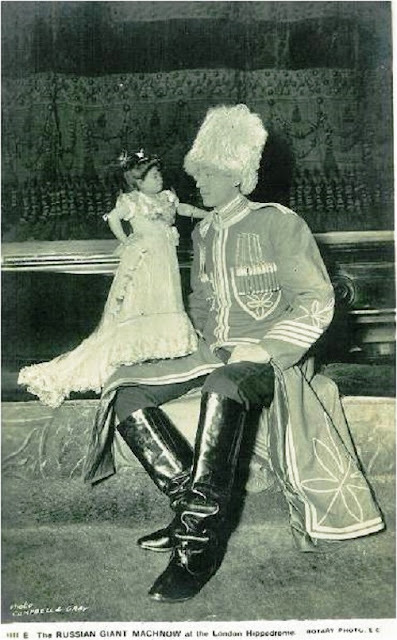 Only when the boy was 16 years old, Fyodor first signed the contract and began performing in the circus. 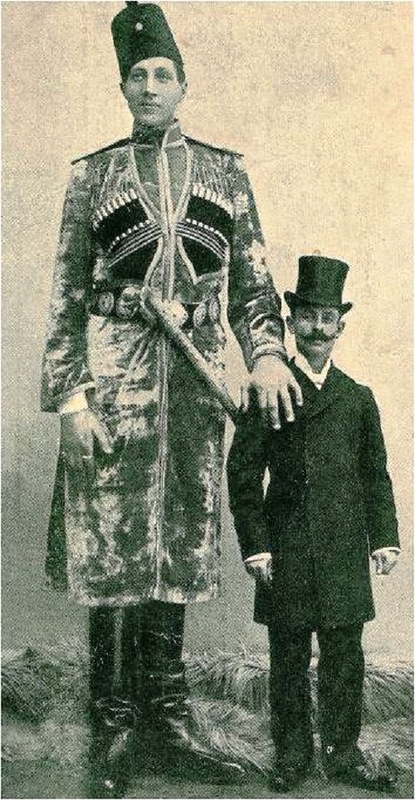 For nine years in the circus Fedor Machnow became a wealthy person. 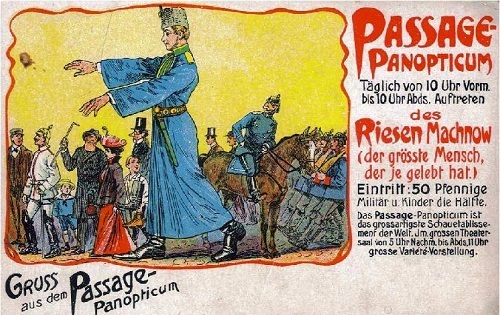 At the beginning of the 20th century, he returned to his village. 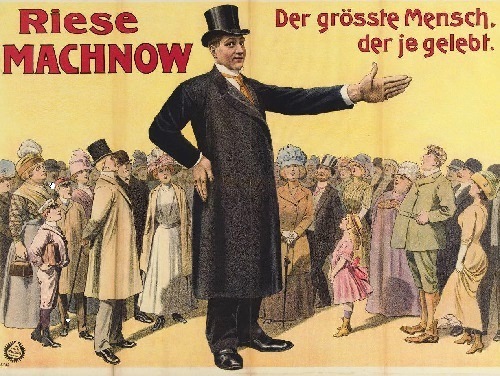 The first thing Machnow did – he bought the land of landlord Paul Korzeniowski, the land and the house. Dwelling on it he rebuilt the house to his growth. 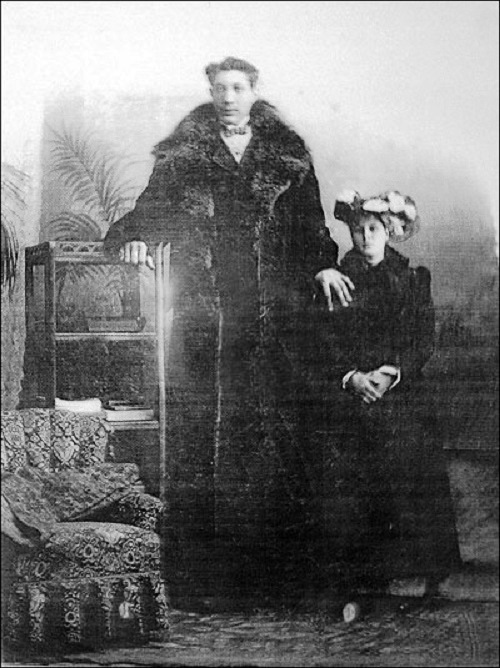 Feodor Machnow with his wife (said to be 185 cm). Although Fedor was good at heart, and a rich suitor, he couldn’t find a bride for him. 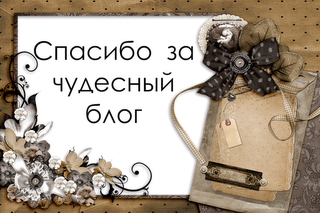 At last he met a rural teacher Efrosinja Lebedeva. She was taller than average, but still 1 meter lower than her husband. 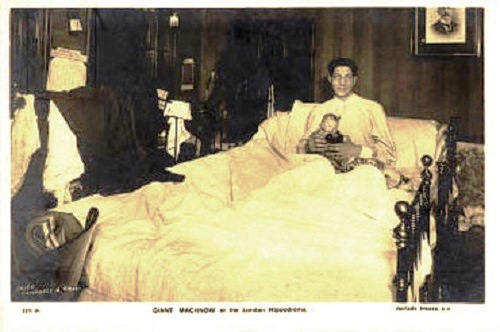 Shortly after the wedding, the family had a daughter, Mary, and a year later the son Nicholay, and then twin boys. From time to time he had to earn money. 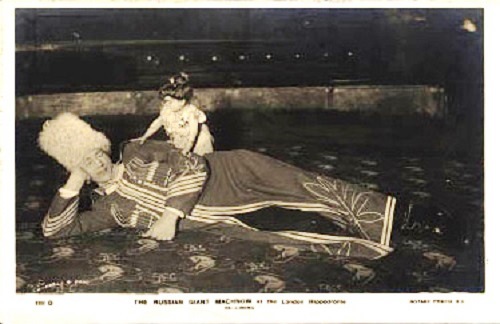 He attended a wrestling tournament, showed his natural capabilities in circuses and museums in the capital and other cities of the Russian Empire. During such trips the popular Russian newspapers published details of Vitebsk Gulliver’s life. It was written about anthropological details of Machnow: ears were 15 cm in length, and lips – 10 cm in width, length of feet and hands were equal to 51 cm and 32 cm respectively. 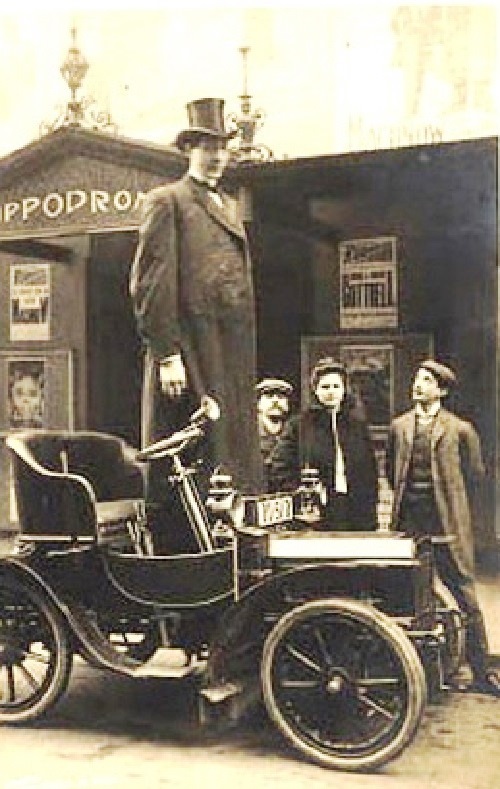 Fyodor visited England, France, Belgium and Holland. In Italy, he was received by the Pope himself. 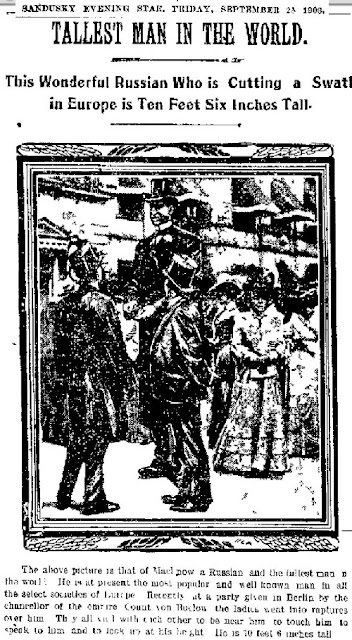 Family legend has it that “the Pope during the audience, admiring the beauty of Fyodor’s daughter, Mary, he took off and gave the girl a gold cross on a chain.” In June 1906 Fyodor crossed the Atlantic. In America, he was received by the President Theodore Roosevelt. By the way Fyodor in English is Theodore. He also visited German Chancellor and had dinner with him. 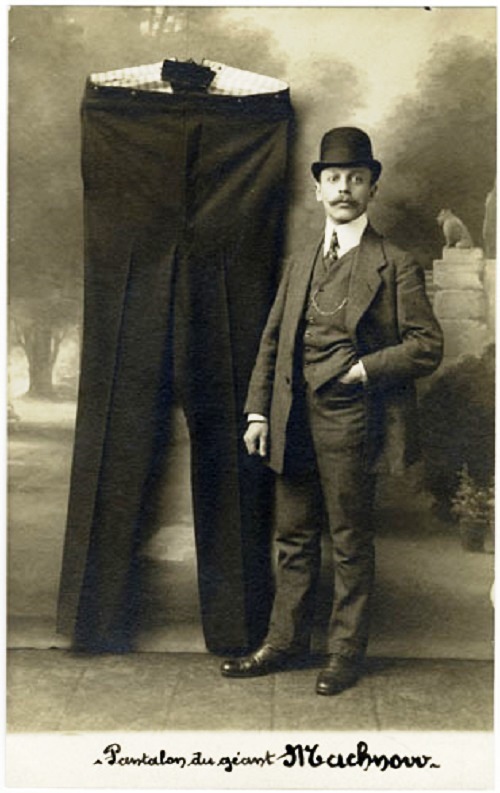 Giant ate four times a day, as well as ordinary people, but the amount of food was more than of average man. Every morning, he ate 20 eggs, 8 round loaves of white bread with butter, drank 2 liters of tea. Lunch consisted of 2.5 kg of meat, 1 kg of potatoes, 3 liters of beer. 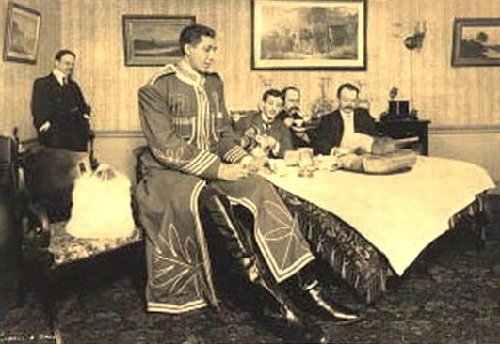 In the evening, he ate a giant bowl of fruit, 2.5 kg of meat, 3 loaves of bread and drank 2 liters of tea. And before going to bed they gave him 15 eggs, a loaf of bread, 1 liter of milk or tea … “. 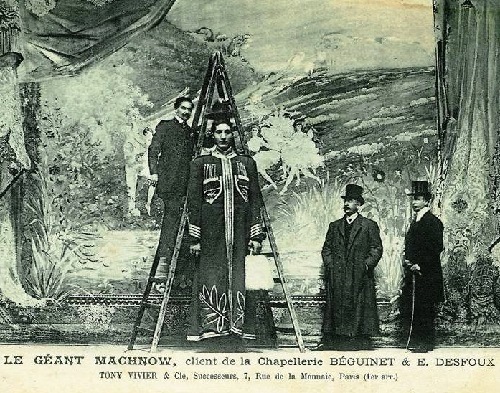 Despite the friendly welcome at the highest level, to travel for Fedor Machnow was still difficult: transportation, hotels, restaurants, were not adapted to his growth. 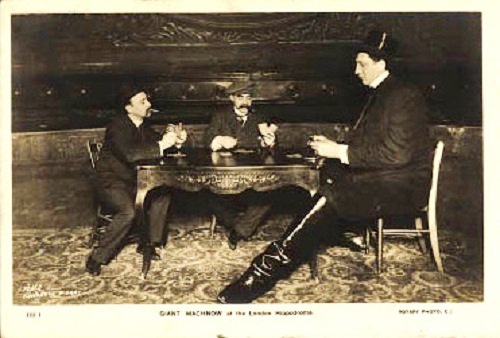 In addition, scientists increasingly began to offer a giant to sign a contract with them about that after his death the skeleton would be given to them for study. Fearing that he might be killed or poisoned, Machnow immediately returned to his farm. 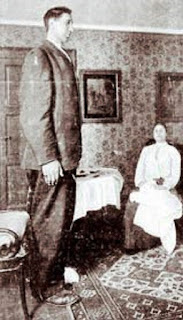 The hardships of life, the illness he had earned in the cool waters of the river Zaronovki, great difficulty to move his huge feet and everyday problems of Gulliver in Lilliput world influenced his health badly. 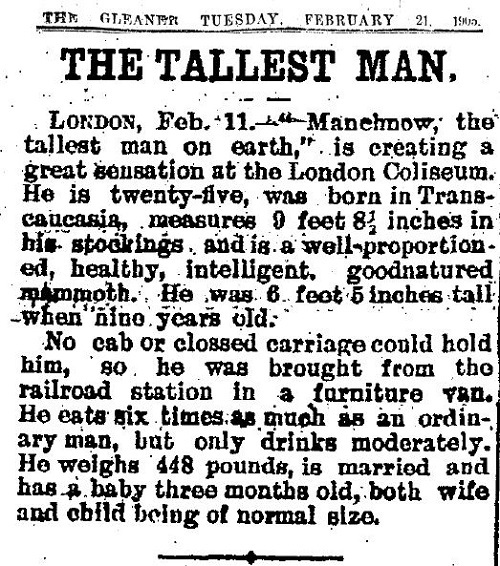 In 1912, 6 months after the birth of babies, the tallest man in the world died. According to some sources, he died of tuberculosis, on the other – a chronic inflammation of the lungs. The magazine “Russian sport” announced the death of the famous wrestler giant. Fedor Machnow was buried in the cemetery in the village of Kostiuk. The growth on his tombstone was mistakenly engraved 254 cm, it was taken from the first contract of 16-year-old boy, who didn’t stop growing. 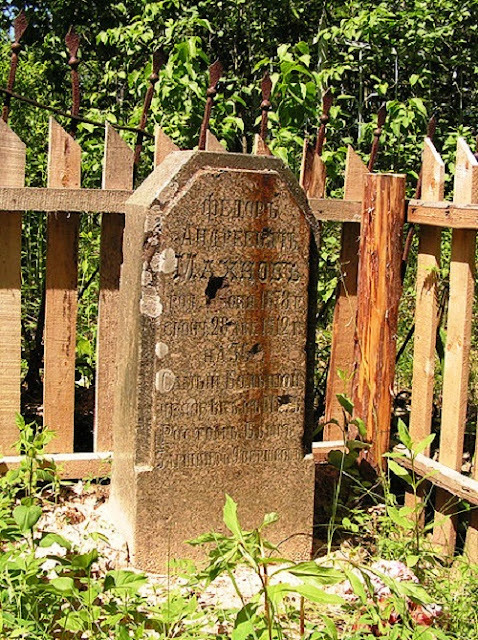 The wife of the giant subsequently wanted to correct an error on the tombstone and remake the fence, but the outbreak of the First World War and the revolutionary events prevented her to do it.